Onome was working as a freelance interior and prop stylist in London, whilst also assisting on film and photography shoots across the city, but she was finding the uncertainty of freelance work challenging and wanted to explore other options. 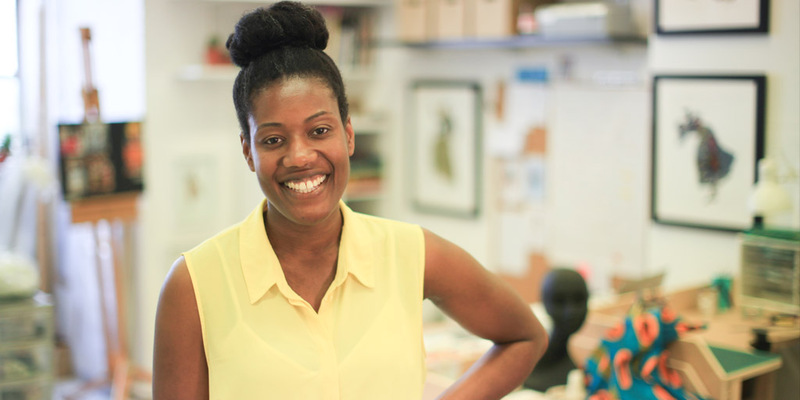 During one particular project working for a client preparing a mood-board, Onome found herself experimenting with textiles and print, from sculpting, moulding and drawing to creating three-dimensional artworks. This experimentation lasted long beyond that project, and she began to dedicate more and more time to creating new artworks. Onome joined the Enterprise programme, which helps young people looking for self-employment to explore and test their ideas, and to start their own business. 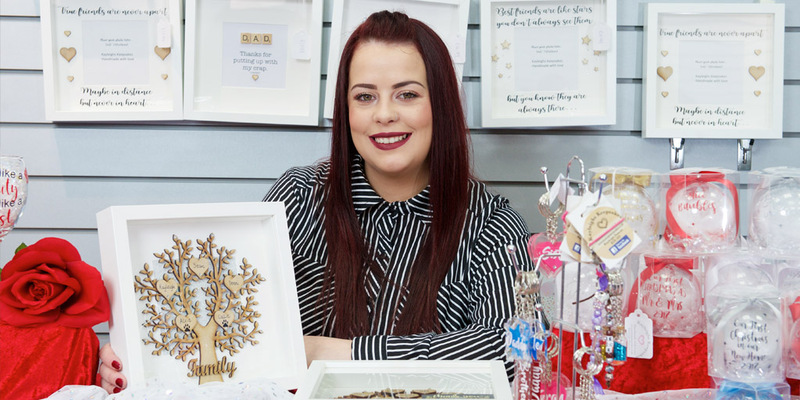 I don’t come from a business background at all, so the programme was crucial in giving me the support and knowledge I needed to prepare my business plan, financial forecasting and the pricing of my work. On top of that, having the support of a mentor was invaluable. Knowing I had someone at the end of the phone gave me real peace of mind. Onome is a recent awardee of the Cockpit Arts / Prince’s Trust Creative Careers programme, giving her creative studio space to explore new ideas and already increase limited edition print and art card sales and commissions. I’m hoping to grow my business profile, continue to secure commercial commissions for publishing and advertising campaigns, and to collaborate with textile and fashion retailers. I’m very excited about the future. Onome was one of five Enterprise-supported businesses invited to pitch their ideas to a Dragons’ Den-style panel at the Evening Standard’s Young Progress Makers 2017, and is teaming up with the British Fashion Council to work with international designers at this year’s Milan Fashion Week.